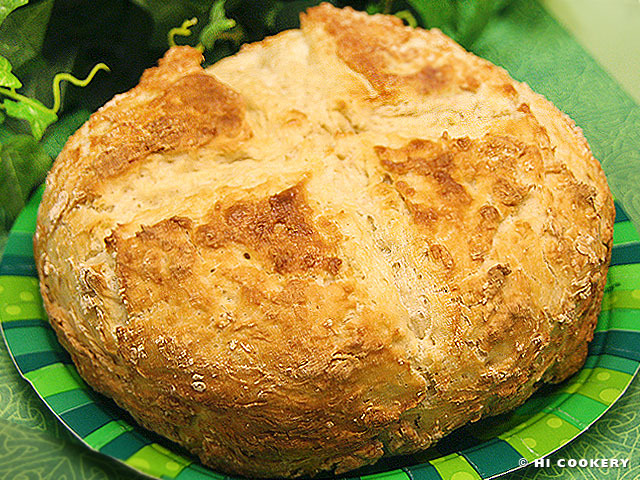 Irish soda bread is mostly associated with St. Patrick’s Day instead of the second to the last day of the year. Traditionally, it is made with but a few simple ingredients: buttermilk, flour, salt and soda (which helps the dough rise). 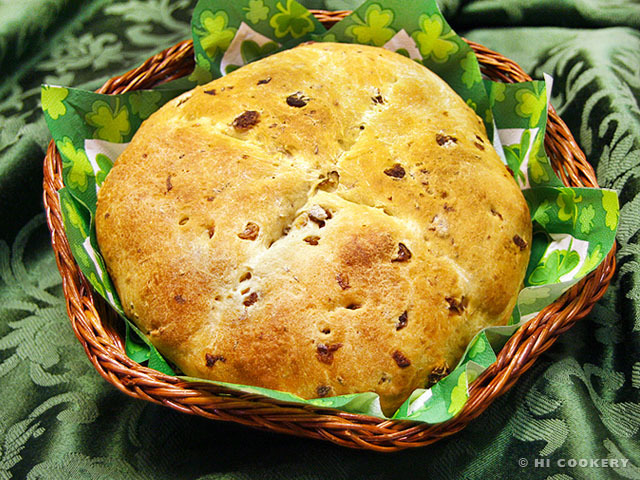 But raisins, caraway seeds and yeast have been added to the recipe—and the celebratory soda bread has evolved into the stereotypical Irish loaf. 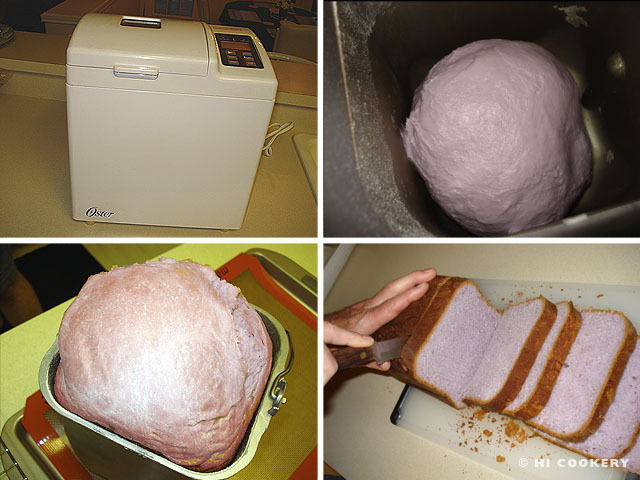 We bucked tradition even more by using our bread machine’s “dough-only cycle” as we are not much into the kneading process. But we do finish baking the soda bread in the oven and even slash a cross design on top as a nod to our spirituality and to St. Patrick’s saltire. 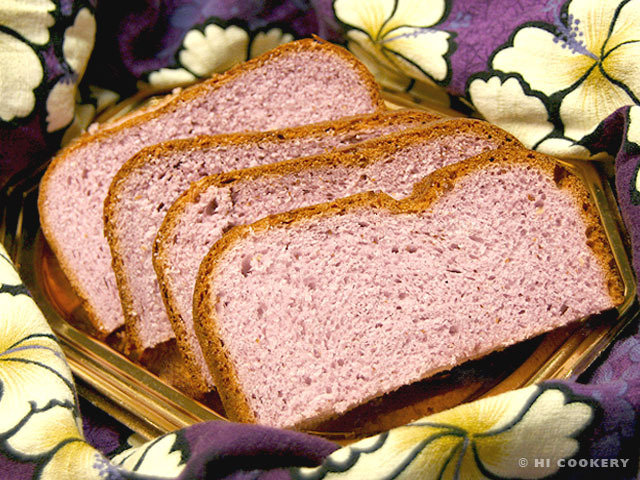 We offer both the classic and contemporary recipe versions of Irish soda bread as a double feature for National Bicarbonate of Soda Day. Bain taitneamh as do bhéil! 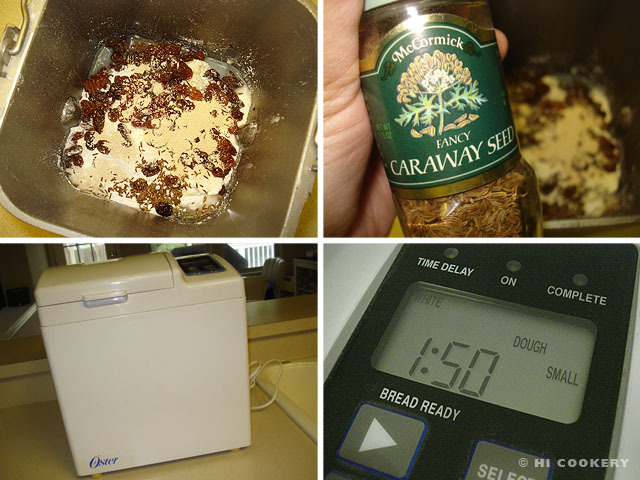 In the container of the bread machine, place the water, flour, sugar, salt, butter, milk powder, baking soda, caraway seeds, golden raisins and yeast. Set the machine to “dough only” cycle. Press start and let the cycle complete in a few hours. 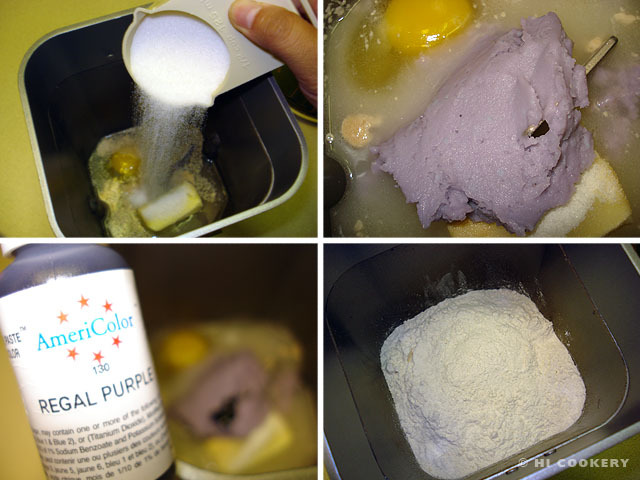 Transfer the dough onto a lightly floured surface and gently make a ball. 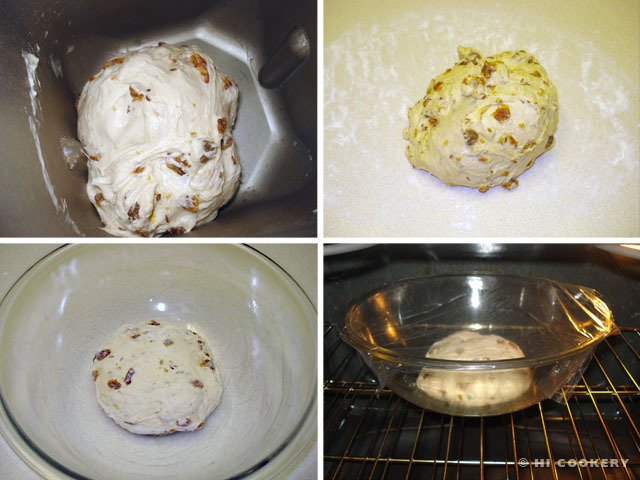 Place the ball in a lightly greased bowl that is large enough for the dough to rise. Cover with a cloth or plastic wrap. Put the dough in a warm, draft-free place, such as an oven. Let it rise until doubled in size. Remove from the bowl and transfer the dough to a lightly greased baking sheeet lined with foil. Slash a cross design on top of the dough with a sharp knife. Bake in a preheated oven at 375 degrees for 20-25 minutes. Remove from the oven and place on a wire rack. Slice when completely cool. 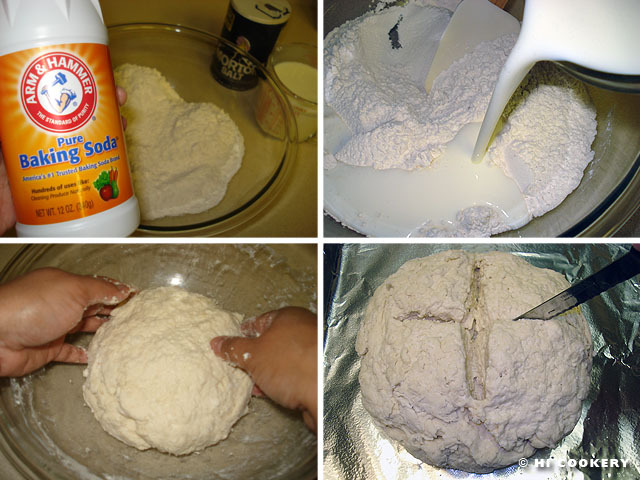 In a large mixing bowl, combine the flour, salt and baking soda. Gradually pour in the buttermilk and mix gently until a rough dough forms. Shape into a ball. Place on a foil-lined lightly greased baking pan. Cut a 1-inch deep “X” (St. Patrick’s cross) on top of the dough. Cover with a larger and lightly greased baking pan (we covered ours with an 8×3-inch round cake pan). Bake in a preheated oven at 425 degrees F for 30 minutes. Remove the top baking pan and finish browning the bread in the oven for another 10-15 minutes. Transfer to a wire rack to cool. The bread should make a hollow sound when tapped on the bottom. Slice and serve with Irish butter. 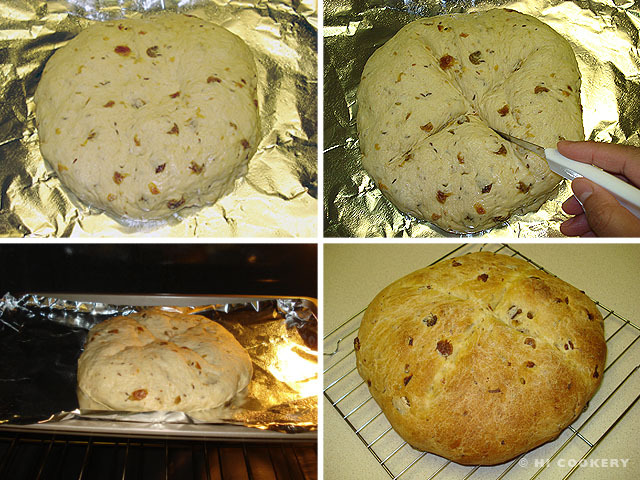 Golden raisins yield a light loaf while regular raisins make it a darker and heavier bread. If not baking the first version of this bread in the oven, continue with the normal bread machine cycle but set it on a lighter crust option. 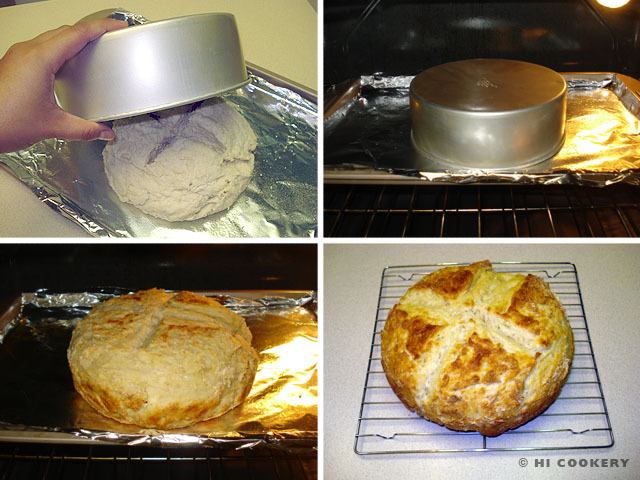 Instead of placing the traditional Irish soda bread dough on a baking sheet, put it in a round cake pan. Then cover it with the baking sheet. This is reverse of what we did above. Either way, make sure that round pan is deep enough (at least 3 inches) for the bread to rise and expand.